Dahlonega is the county seat for Lumpkin County. As of 2016, the population was 6437. Its growth includes families, retirees and second-home owners. some of the communities include Achasta. In addition to the beautiful historic downtown, there are layered mountain views and pristine rivers. The downtown district is the hub for the county's thriving tourism industry with shopping, galleries, restaurants and entertainment spots in 19th century buildings. 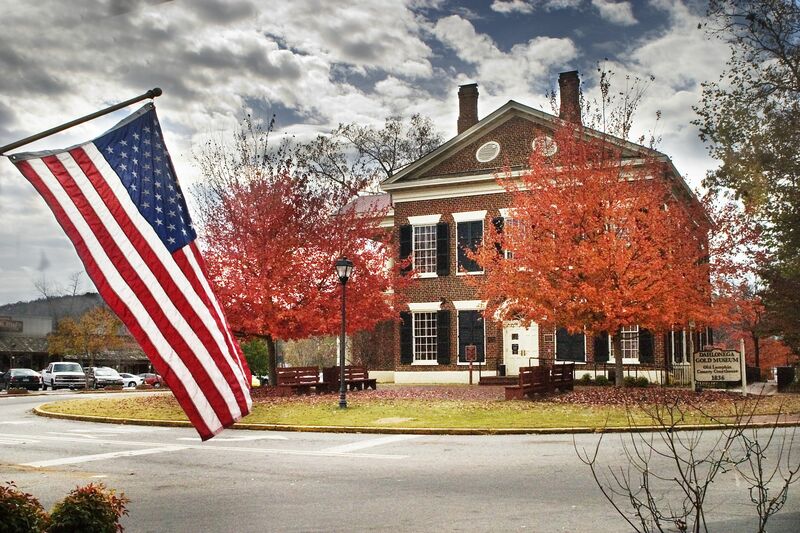 In 2007, U.S. News & World Report chose Dahlonega as the third most economical retirement location in the country. North Georgia University sits on the west side of the town. It is one of only six senior military colleges in the US. Dahlonega is only one hour from Atlanta and sits at the base of the Blue Ridge Mountains.